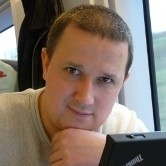 Dr. Max Alekseyev received a Ph.D. in computer science in 2007 from the University of California, San Diego. Currently he is an Assistant Professor in the Computer Science and Engineering department at University of South Carolina. 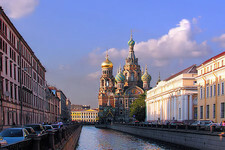 In 2011, he served as a Scientific Director for Algorithmic Biology Lab at St. Petersburg Academic University, Russia. Dr. Alekseyev's research interests range from discrete mathematics (including combinatorics and graph theory) to bioinformatics (including comparative genomics and phylogenomics). His research is focused on the development and application of new methods of discrete mathematics to solve old and recently emerged open biological problems. 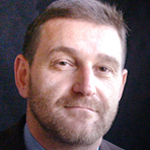 Dr. Alekseyev is an Associate Editor of the Frontiers in Bioinformatics and Computational Biology journal and an Editor-in-Chief of the On-Line Encyclopedia of Integer Sequences. He has served on the program committees for CPM 2011 and ACM SE 2012 conferences. 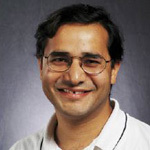 Vineet Bafna is an Associate Professor in the Computer Science and Engineering Department at UC San Diego's Jacobs School of Engineering. Prior to joining UCSD in 2003, he spent seven years in the bio-science industry, ultimately as Director of Informatics Research, at Celera Genomics. At Celera, he participated in the human genome project, designing novel tools for gene discovery, and leading the analysis of mass spectrometry data for identifying cancer bio-markers. His current research focus is on computational problems arising is mass spectrometric data analysis, population genetics, non-coding genes, and cancer genomics. He is an Associate Editor for JBCB, IEEE TCBB, and Biology Direct, and has served on the program committees of ISMB, RECOMB, and other conferences. He has co-authored over seventy research articles in refereed journals and conference proceedings. 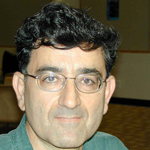 Dr. Bafna is the Director of the Undergraduate Bioinformatics Program at UCSD. 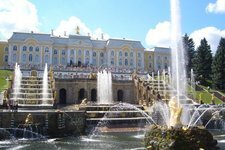 Dr. Gelfand received his Ph.D. in mathematics in 1993 from the Institute of Theoretical and Experimental Biophysics, Russian Academy of Sciences, in Pushchino, and his D.Sc. in biology in 1998 from the Research Institute for the Genetics and Selection of Industrial Microorganisms in Moscow. Currently he is the Vice-Director for Science and the head of the Research and Training Center on Bioinformatics at the A.A.Kharkevich Institute for Information Transmission Problems, RAS, and a Professor at the Department of Bioengineering and Bioinformatics of the M.V.Lomonosov Moscow State University. His Howard Hughes Medical Institute-funded project focuses on "Comparative Genomics, Metabolic Reconstruction, and Analysis of Regulation in Bacterial Genomes." 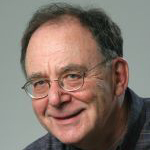 Gelfand's primary research areas include comparative genomics, metabolic reconstruction, analysis of regulation in bacterial genomes, and evolution of alternative splicing. Sorin Istrail is the Julie Nguyen Brown Professor of Computational and Mathematical Sciences and former Director of the Center for Computational Molecular Biology at Brown University. Before joining Brown, he was the Senior Director and then Head of Informatics Research at Celera Genomics, where his group played a central role in the construction of the Sequence of the Human Genome; they co-authored the 2001 Science paper “The Sequence of the Human Genome,” which, with over 9500 citations to date, is one of the most cited scientific paper. His group at Celera also built a powerful suite of genome-wide algorithms that was used for the comparison of all human genome assemblies to date. In 2002 his Celera group in collaboration with the company ClearForrest won the ACM KDD Cup – the top international data mining/machine learning competition – for automatic annotation of the Drosophila genome. In 2003 he joined the ranks of Applied Biosystems Science Fellows, one of just six Science Fellows in a company of 800 scientists. 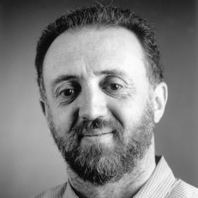 Before Celera, Professor Istrail founded and led the Computational Biology Project at Sandia National Laboratories (1992-2000). In 2000, he obtained the negative solution (computational intractability) of a 50 years old unresolved problem in statistical mechanics, the Three-Dimensional Ising Model Problem. This work was included in the Top 100 Most Important Discoveries of the U.S. Department of Energy’s first 25 years, and as the 7th top achievement in Scientific Computing. Professor Istrail's research focuses on computational molecular biology, human genetics and genome-wide associations studies, medical bioinformatics of multiple sclerosis, autism, HIV, preterm labor and viral immunology, statistical physics, algorithms and computational complexity. He is co-editor-in-chief with Mike Waterman of the Journal of Computational Biology, and together with Pavel Pevzner and Mike Waterman, he is co-founder with of the RECOMB Conference series, and co-editor-in-chief of the MIT Press Computational Molecular Biology series and the Springer-Verlag Lecture Notes in Bioinformatics series. He is Professor Honoris Causa of the “Alexandru Ioan Cuza” University, Iasi, Romania. Dr. Karp attended Harvard University, receiving the Ph.D. in 1959. From 1959 to 1968 he was a member of the Mathematical Sciences Department at IBM Research. From 1968 to 1994 and from 1999 to the present he has been a Professor at the University of California, Berkeley, where he held the Class of 1939 Chair and is currently a University Professor. From 1988 to 1995 and 1999 to the present he has been a Research Scientist at the International Computer Science Institute in Berkeley. From 1995 to 1999 he was a Professor at the University of Washington. During the 1985-86 academic year he was the co-organizer of a Computational Complexity Year at the Mathematical sciences research Institute in Berkeley. During the 1999-2000 academic year he was the Hewlett-Packard Visiting Professor at the Mathematical Sciences Research Institute. The unifying theme in Karp's work has been the study of combinatorial algorithms. His current activities center around algorithmic methods in genomics and computer networking. Karp's awards include: U.S. National Medal of Science, Turing Award, Fulkerson Prize, Harvey Prize (Technion), Centennial Medal (Harvard), Lanchester Prize, and the Von Neumann Theory Prize, among many others. Dr. Moret is Professor of Computer Science, holding the chair of Bioinformatics at the Swiss Federal Institute of Technology (EPFL) in Lausanne, Switzerland. 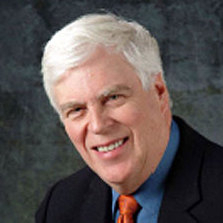 He received his Ph.D. in 1980 from the University of Tennessee and was on the faculty of the Department of Computer Science at the University of New Mexico until 2006, serving as chair from 1991 to 1993. His research interests are in the area of algorithms and applications, particularly in computational molecular biology. 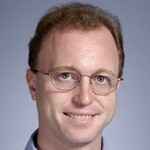 He founded the ACM Journal of Experimental Algorithmics in 1995, serving as its editor-in-chief for seven years. Since 2000, he has focused on the development of models and algorithms for evolutionary genomics, publishing around 80 peer-reviewed articles in the area and founding, in 2001, the annual Workshop on Algorithms in Bioinformatics (WABI). Stephen J. O’Brien served as Chief of the Laboratory of Genomic Diversity at the National Cancer Institute (NCI), National Institutes of Health (NIH) from 1986-2011. 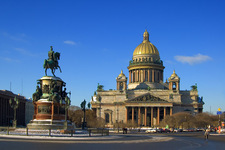 In December 2011, he joined the Theodosius Dobzhansky Center for Genome Bioinformatics, St. Petersburg State University as Chief Scientific Officer. His research interests and expertise span human and comparative genomics, genetic epidemiology, HIV/AIDS, retro-virology, bioinformatics biodiversity and species conservation. Dr. O’Brien served as editor of six editions of Genetic Maps: Locus Maps of Complex Genomes (1980-1993) (Cold Spring Harbor Laboratory Publications; editor of Editor of Journal of Heredity (American Genetics Association) from 1987-2007; editor of “Atlas of Mammalian Chromosomes”, (John Wiley Inc. NYC, 2006) and author or “Tears of the Cheetah And Other Tales From The Genetic Frontier” (St. Martin’s Press NYC, 2004). Dr. O’Brien received his B.S. in Biology in 1966 from St. Francis College, which presented him with a Distinguished Alumni Award in 1994. In 1971 he earned a Ph.D. in Genetics from Cornell University which honored him as “Andrew Dixon White Endowed Professor at Large” in 1998. Dr. O’Brien has a strong dedication to education, evidenced by his appointments as adjunct professor at twelve universities. He has mentored more than fifteen Ph.D. students and multiple postdoctoral fellows. Since 1996 he has directed an internationally heralded short course sponsored by Smithsonian and American Genetics Association, entitled “Recent Advances in Conservation Genetics”, the most recent (2012) edition at The Smithsonian Tropical Research Institute , Panama. Dr. Pevzner is the Ronald R. Taylor Chair Professor of Computer Science and Director of the Center for Algorithmic and Systems Biology at University of California, San Diego. 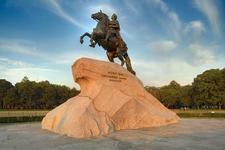 He holds a Ph.D. (1988) from the Moscow Institute of Physics and Technology, Russia. He is the author of the graduate textbook Computational Molecular Biology: An Algorithmic Approach, 2000 and the undergraduate textbook (with Neil Jones) Introduction to Bioinformatics Algorithms, 2004. He was named Howard Hughes Medical Institute Professor in 2006. Dr. Pevzner is the director of the Interdisciplinary Bioinformatics Program at UCSD. Marie-France is Research Director of INRIA. Dr. Sagot is Editor-in-Chief of the IEEE/ACM Transactions in Computational Biology and Bioinformatics. She has a BSc in Computer Science from University of São Paulo, Brazil and PhD in Computer Science from University of Marne-la-Valleé, France. Dr. Sagot is head of Bamboo & Baobab Teams which focus on chromosomal evolution and dynamics (genomes and epigenomes) and chromosomal function (processes and network). 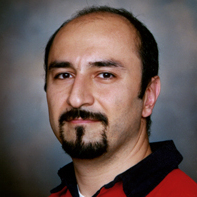 Cenk Sahinalp is a Professor of Computing Science at Simon Fraser University, Canada. He received his B.Sc. 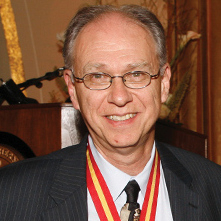 degree in Electrical Engineering from Bilkent University, his Ph.D. in Computer Science from the University of Maryland at College Park and did his postdoctoral work at Bell Labs, Murray Hill. Previously he was on the Faculty of the Division of Computer Science at Case Western Reserve University. Sahinalp is an NSF Career Awardee, a Canada Research Chair and a Michael Smith Scholar for Health Research. He was/is the conference general chair of RECOMB'11, PC chair of APBC'13, an area chair for ISMB, and CSHL Genome Informatics Conferences and serves on the editorial boards of several journals. He co-directs the SFU undergraduate program in bioinformatics and the SFU Bioinformatics for Combating Infectious Diseases Research Program. His research interests include computational genomics, in particular algorithms for high throughput sequence data, network biology, RNA structure and interaction prediction and algorithms for chemoinformatics applications. Dr. Shamir is Professor of Computer Science and holds the Raymond and Beverly Sackler Chair in Bioinformatics at Tel Aviv University (TAU). He has a BSc in mathematics and physics from Hebrew University and a Ph.D. in operations research from UC Berkeley. Dr. Shamir founded the bioinformatics undergraduate degree program at TAU and heads the Edmond J. Safra Bioinformatics Program at TAU. He specializes in design and analysis of algorithms, and since 1990 has focused on computational biology. His research interests include gene expression analysis, comparative genomics, gene regulation, systems biology and medical genetics. He serves on the editorial board of ten leading journals and series in theoretical computer science and computational biology, and was on the steering committee of RECOMB for 13 years. He has over 200 scientific publications. Dr. Tesler is an Associate Professor in the Department of Mathematics at the University of California, San Diego, a core faculty member in the interdisciplinary graduate and undergraduate programs in bioinformatics, and an Affiliate Faculty member of Computer Science and Engineering. He received his Ph.D. in Mathematics from the Massachusetts Institute of Technology in 1995, in the area of Algebraic Combinatorics. He studies computational and algorithmic aspects of comparative genomics, genome rearrangements, sequence assembly, and genome-wide association studies. Dr. Tesler received a Sloan Research Fellowship in Molecular Biology in 2005. He was the conference chair and program chair of the RECOMB Satellite Workshop on Comparative Genomics 2007. Tandy Warnow is the David Bruton Jr. Centennial Professor in Computer Sciences at the University of Texas at Austin. 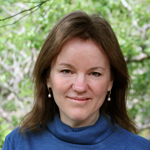 She has received several awards for her research, including the National Science Foundation Young Investigator Award in 1994, the David and Lucile Packard Foundation Award in Science and Engineering in 1996, a Radcliffe Institute Fellowship in 2006, and a Guggenheim Foundation Fellowship in 2011. Warnow received her PhD in 1991 in Mathematics at UC Berkeley under the direction of Gene Lawler, a postdoctoral fellow with Simon Tavare and Michael Waterman at USC from 1991-1992, and a researcher at Sandia National Laboratories from 1992-1993. She was on the faculty at the University of Pennsylvania from 1993-1999, when she left to join the faculty at the University of Texas. She is a member of five graduate programs at the University of Texas, including Computer Science; Ecology, Evolution, and Behavior; Molecular and Cellular Biology; Mathematics; and Computational Science, Engineering, and Mathematics. 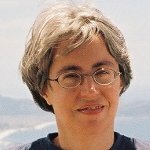 Her research (over 100 papers to date) combines mathematics, computer science, and statistics to develop improved models and algorithms for reconstructing complex and large-scale evolutionary histories in both biology and historical linguistics. Current projects in the Warnow lab are focusing on phylogeny and alignment estimation for very large datasets (10,000 to 500,000 sequences), estimating species trees from collections of gene trees, metagenomics, and comparative genomics. Michael Waterman holds an Endowed Associates Chair at University of Southern California. He has a bachelors in Mathematics from Oregon State University, and a Ph.D. in Statistics and Probability is from Michigan State University. Michael Waterman was named a Guggenheim Fellow (1995), was elected to the American Academy of Art and Sciences (1995) and to the National Academy of Sciences (2001). Also he is a Fellow of the American Association for the Advancement of Science (2001), Institute of Mathematical Statistics, Society of Industrial and Applied Mathematics and International Society of Computational Biology (2009). 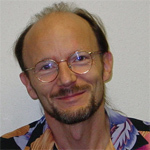 Professor Waterman is a founding editor of Journal of Computational Biology, is on the editorial board of seven journals, is the author of Introduction to Computational Biology: Maps, Sequences and Genomes and is a co-author of the text Computational Genome Analysis: An Introduction. Also with Istrail and Pevzner in 1997 he began the international conference Research in Computational Biology (RECOMB). Professor Waterman works in the area of Computational Biology, concentrating on the creation and application of mathematics, statistics and computer science to molecular biology, particularly to DNA, RNA and protein sequence data. He is the co-developer of the Smith-Waterman algorithm for sequence comparison and of the Lander-Waterman formula for physical mapping.